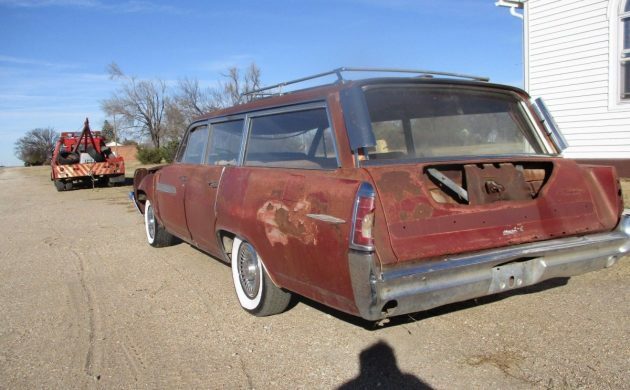 Down but not Out, this 1963 Pontiac Bonneville Safari Six-Passenger wagon walks the fine line between project and parts car. This low-budget builder resides in Great Bend, Kansas and seeks a visionary new owner here on eBay. 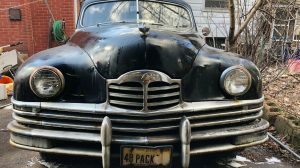 Listed as a parts car, it’s more complete than many and comes with a clear title. Unless the underside is far worse than what we see here, it would be hard to argue with the $950 asking price. This picture shows the poor Safari’s scars from its starring role in “Attack of the Angle Grinders.” Both the left front fender and tailgate have lost at least a pound of metallic flesh. 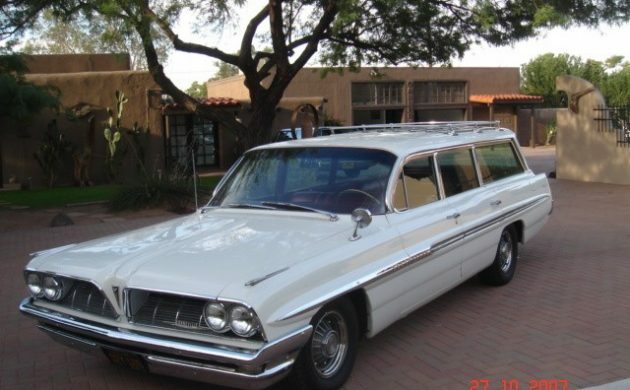 The clean lines of this once-classy wagon give up little to the stylish Bonneville coupe. Compared to some color combinations from the ’60s and ’70s, this deep red inside and out offers broad appeal. 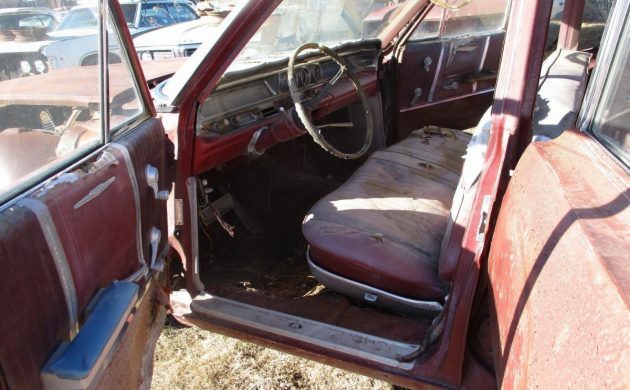 It might be cool to see power windows, but what do you want for $950? Pontiac’s Wide-Track styling made these full-size machines look low and purposeful. The 389 cid V8 remains, though it may be missing a few nuts and bolts… and accessories… and who knows what kind of shape it’s in. LS swap, anyone? If it can be revived, the Bonneville’s stock 389 four-barrel V8 would have made 303 HP (gross) and a family-toting 430 lb-ft of torque, according to the sales brochure. 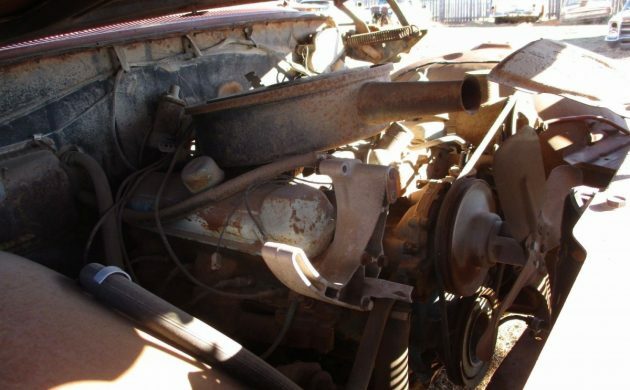 As the seller describes, this engine would have been paired with GM’s four-speed Hydra-Matic. 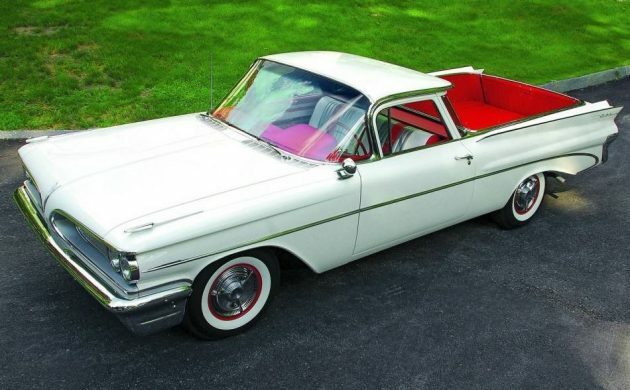 One interesting technical tidbit; ten years later nearly all American automatic transmissions used thee forward gears, but in 1963, new-car shoppers would have found automatics with two, three, or four forward gears. 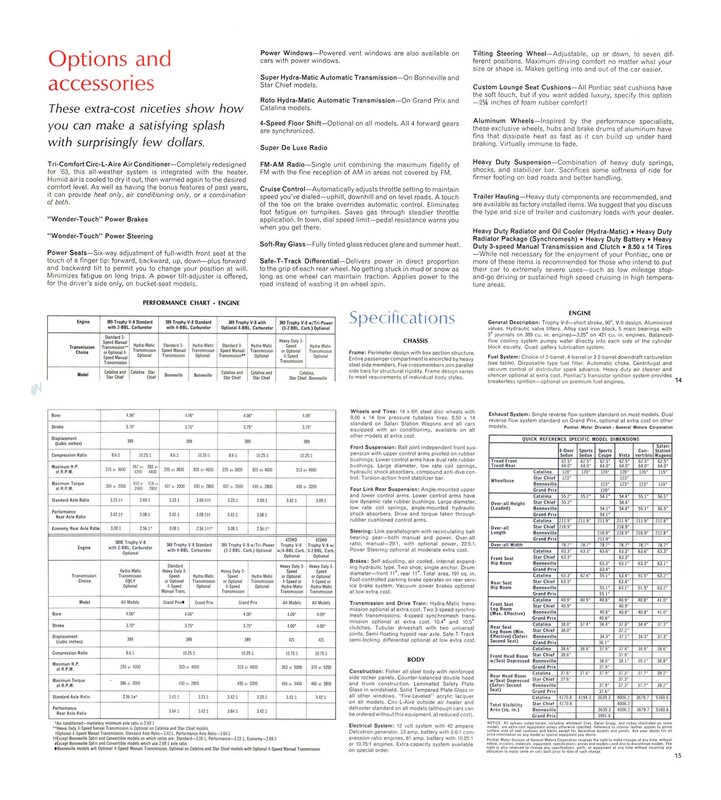 To understand the myriad options available across the Pontiac lineup, check out this Pontiac brochure. 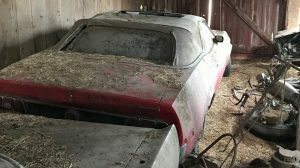 Who’s got $950 and the passion to put this Safari back in the asphalt jungle? Even at this price I don’t see a Pontiac in my future. I think the seller was asking close to $10,000 last time. If I have learned anything from buying hundreds of cars it is that if a seller says his car is a parts car, believe him. 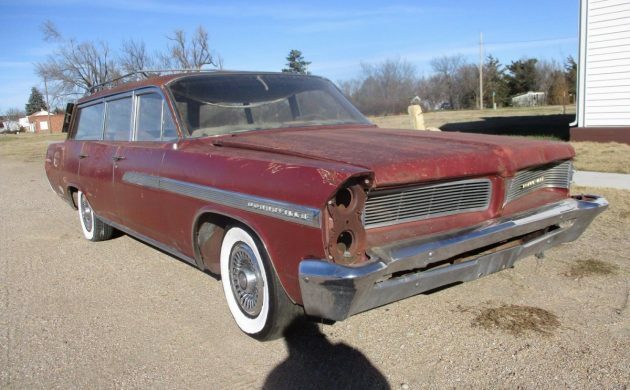 I love Pontiacs, all I’ve ever had actually, including a ’61 Bonnie wagon, but this one looks like a parts car to me. newfieldscarnut, if that was meant for me, I don’t get it. 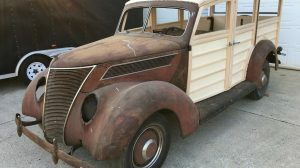 For a car/truck version of a Bonnie maybe, but not a wagon. There were a couple such versions of a ’59 Catalina, nicknamed El Catalina. 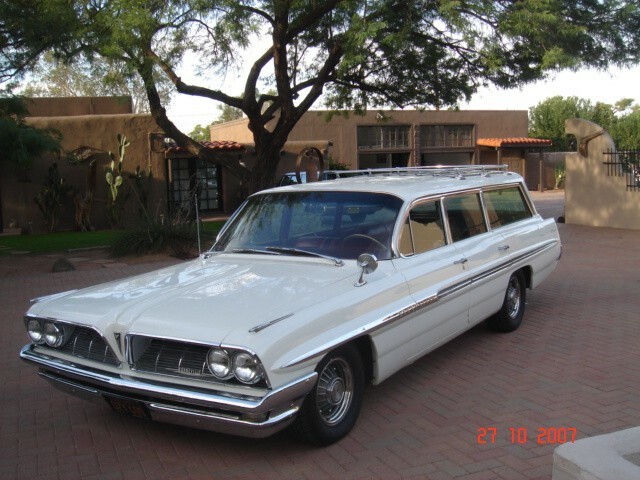 It was just a suggestion … I would love to find an original 65 Catalina Wagon in dark blue , my first car and favorite of all time . I bought it from my mailman for $25 . It had a bad outer wheel bearing which I fixed right away . 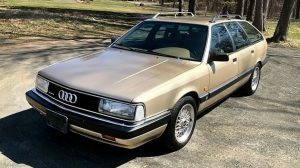 I dated my friends cousin in Peacham Vermont and used it as a “commuter car” to see her every week from Massachusetts . It never let me down and would light em up at 30 mph without much persuasion . I sure do miss the good old days . This one has been sitting on eBay for months. advantage. A fluid coupling simply transmits rotational torque the way way a mechanical clutch would. Even in this sad state it’s easy to see what a stately beast it was when whole. This one looks to me to have been picked clean. A labor of love for a brave and patient soul. Don’t know the car, but I sure know the church next to it! I know that town very intimately! Lots of great times there!